Hello fellow dtoiders, my name is Lauro, I�m from Portugal and I love dtoid, I�ve been a regular on the site for a while, even though I never really talk or interact that much in the comment section of the site, I�ve had an account for years and I think I have only posted over 200 comments, I mostly stick it to the forums. But I�ve stuck around dtoid since 2008/2009, can�t really remember the year, I mostly just lurked around the front page even tried to join the forums once, saw something crazy there and ran away (it was some sort of chat, you know what I�m talking about). Today I�m a more regular basement dweller although I don�t always hang there for lack of time, since I�m a college student and time or patience isn�t always a thing I have, I even lurk there from time to time. As everyone that hangs around here, I love videogames, I�ve been playing them since I was a kid, but I�m not sure which game was my first, I remember playing a lot of Amiga games in my neighbor's house, I played a lot of Pang!, James Pond and some others that I can�t really recall at the moment. 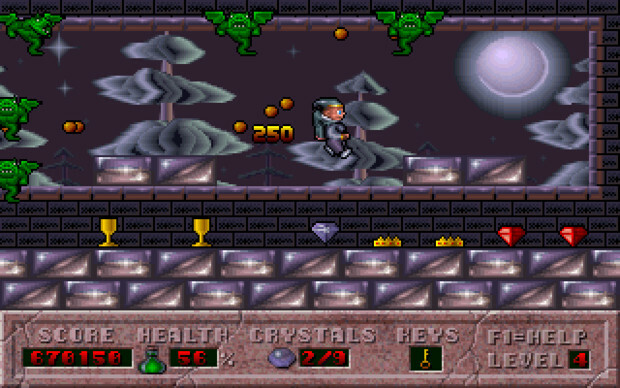 Aside from Amiga, I mostly played on a PC(never had any console till way later) that my sister had for school and there I played some classic windows games that came with the OS and demos from games such as Hocus Pocus, which was a platformer in which you played as a wizard and it was a tough game, the game had 9 levels and it was the game I played the most, I only managed to beat it 3 or 4 times, that last mage boss was really though. 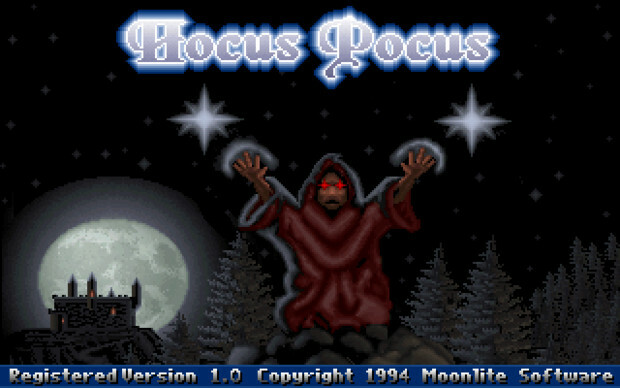 The thing about Hocus Pocus is that I always thought it was the full game, so it was a shock to find out that there were in fact many more levels after those 9 that I played. I found this about 10 years later, managed to get a copy of the game that a friend had but never managed to beat it, heck, I had trouble getting to that 8th level, so, naturally, I didn�t even get to try and play more of that game, because I had more shiny and recent games to play, such as Quake 3 an Unreal Tournament. And that brings me to the genre of games I�ll always love and never stop playing: FPS�s as I was growing up I always liked to play FPS�s and RTS�s on the PC, but I was always more interested in RTS�s and they kept me engaged, I could spend hours playing Dune 2000 or Starcraft, I also like to play Warcraft 1 and 2 among some other RTS�s. But as I grew older I tended to stop wanting to plan and strategize to just want to shoot things and be dumb, I played a lot, but a lot of Quake 3 Arena, that was my jam for many years. And of course over the years I played a lot of other FPS�s that I still go back and play from time to time, like Medal of Honor and Call of Duty. 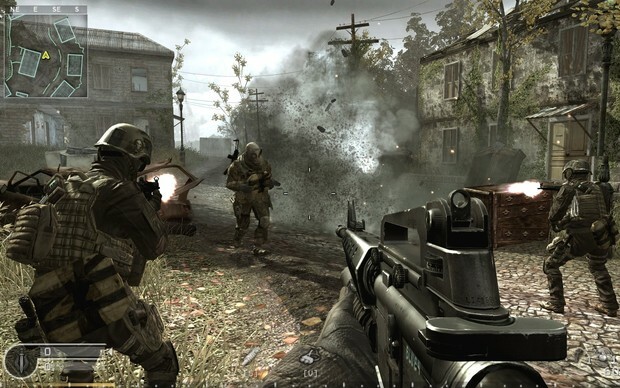 It wasn�t until Call of Duty 4 that I got really into the online and playing competitively, sure I had played games online before, but never really cared much about it, I would play many times against bots or just single-player, but COD4 was the one that made me connect with more people. So much in fact that by the time Mordern Warfare 2 came out, I joined a clan to play it as a team, against other teams. I�ve been a member of that clan ever since, I found a family there and even though I don�t compete anymore, I am proud and love the people there. To me, the culmination of belonging to a community found a meaning in being part of that clan, the conversations over teamspeak, the meetings, the parties, the people, it all made me love even more what I see that dtoid has. Because I�ve seen and read many interactions and stories of fellow dtoiders and they are exactly what I experience with my clan, it�s really touching to see such a big community being together and doing crazy stuff for fellow buddies, I�m sad that I�ve never had the opportunity to experience that first hand, so I�ll keep myself content by just having, feeling and experience it online, because the internet is helping us stay connected and that is an awesome thing. Even though I�m not the most active member of the community, I see, read and listen to much of the community does, I�m much more active on twitter where I talk to a bunch of members but when it comes to the site, I lack a lot in that department. That�s part of the reason of why I wanted to write a C-Blog, even though I have had an idea to write one for a long time, but that involves playing a few games that I still need to play, so I�m not sure when I�ll be able to do that. 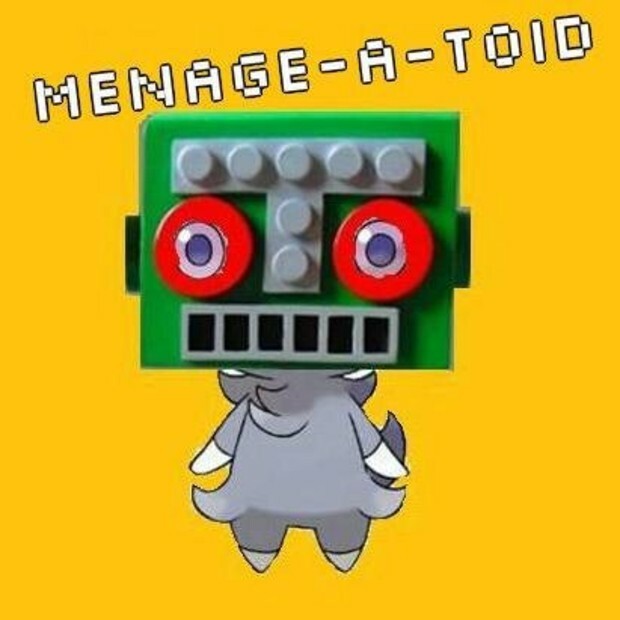 Recently I�ve had the opportunity to participate in the Menage a Toid podcast and it was a blast to be part of such a good idea, a podcast made of several members, with a rotating cast. That can bring a lot of energie and different strokes to an involved project with several people and we get to get to know a bit more of fellow dtoiders, so that�s always a plus. As I�ve said before, I do listen to some community podcasts, so being in the 1st episode with Glowbear and Panza from Scary Granules and Used from the LowTier was like being among friends that I haven�t seen in a while, since I already knew the voices. Of course, I�m a bit shy and I do have a low voice tone (as my TS friends keep telling me) so I did seem a lot quieter and shy. 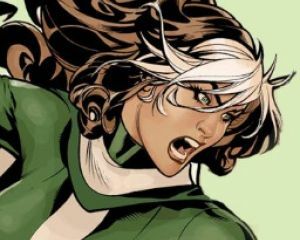 I�m also not the best speaker, even in Portuguese, so even though I read and write in English everyday (many times more that in Portuguese) I still lack the practice and that leaves me uncomfortable sometimes. But as it is with everything, it�s not something that can�t be overcomed with practice and I would very much like to be in another episode again when my time allows for it, because I really like talking with people, even though I don�t always seem like that. So yeah, writting isn�t my forte, not even in Portuguese and that�s why I�ve never done a C-Blog before, I�ve read and read other C.Blogs, but I hope that this is just the beginning because I did enjoy writing this and I always want to be more involved.